T/5 Jessie L. Mahan, son of Mr. and Mrs. H. W. Mahan, Olney, husband of Ruby Mae Huffman, attended Olney High. 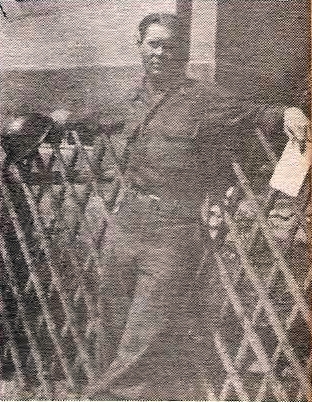 Entered Army in 1942, trained at Camp McCoy, Wis., Camp Breknridge, Ky., and Tenn. Maneuvers. Served in England, France, Belgium, Luxembourg, and Holland, and Germany. Awarded GCM, and ETO with 5 Battle Stars. Served with 44th Engineers, Combat Bn. Discharged in 1945.